In case you want to invite birds in your garden to cheer up your kid, there is nothing more to welcome birds than a bird bath. A bird bath is a perfect device to attract birds in your garden. An attractive bird bath can be a perfect garden accessory. Bird bath give you a lively environment in your garden. You can enjoy your morning tea with birds in your garden. It is a great choice for nature lovers, so let us choose a bird bath for our back yard. You can enhance your backyard with the decorative bird bath. 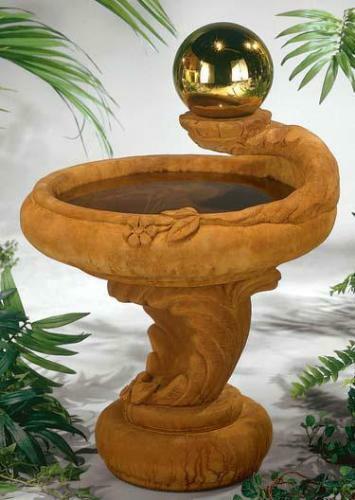 Today’s bird bath styles are wide ranging and offer many options in your garden décor. Adding a variety of decorative items will enhance your yard beauty. But adding a bird bath will invite birds to your garden, which can enhance the enjoyment of your garden. Bird bath are come in various decorative types. Some bird baths are the metal bird bath, stone and wood bird bath. Fountain bird bath is also a style of decorative bird bath. A leaf bird bath, pedestal bird bath, flower petal bird bath can be a choice of decorative bird bath. Stone bird bath are popular for its durability and various designs. These bird baths are extremely durable and lasts for year and years. They come in various designs such as flower design, pedestal bird bath etc. Stone bird baths are solid, attractive and natural looking which will attract birds to come in your garden. Stone bird bath need regular cleaning of water to avoid insects in the water. Birds are attracted to moving water so a bird bath with fountain will attract birds to come to your garden. A bird bath with solar panel will circulate the water and make an attractive noise. Birds can enjoy the bath in winter if you are having a solar powered bird bath in your garden. The running water in bird bath is hygienic but it can create a threat of algae growth. So there is a need to clean it regularly. Bird bath fountains are a fantastic way to invite the birds in your yard. 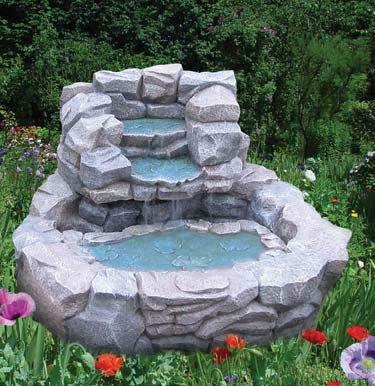 Bird bath fountain not only invite the birds in your yard but also a decorative piece of outdoor décor. Birds are attracted to flowing water of bird bath fountain which provides them clean water that is free from bacteria. 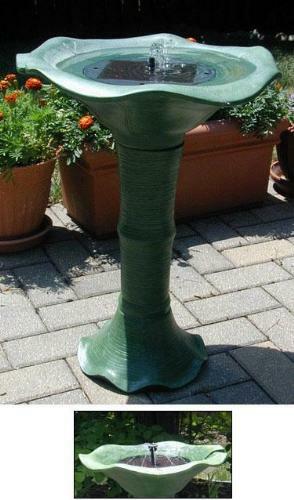 Bird bath fountain will be a center piece of your garden. Bird bath are wonderful for you as the sound of birds can do away the stress of your day. Also you can provide bird’s clean water by adding a bird bath to your garden. Add it in your garden and enjoy the beauty of nature.